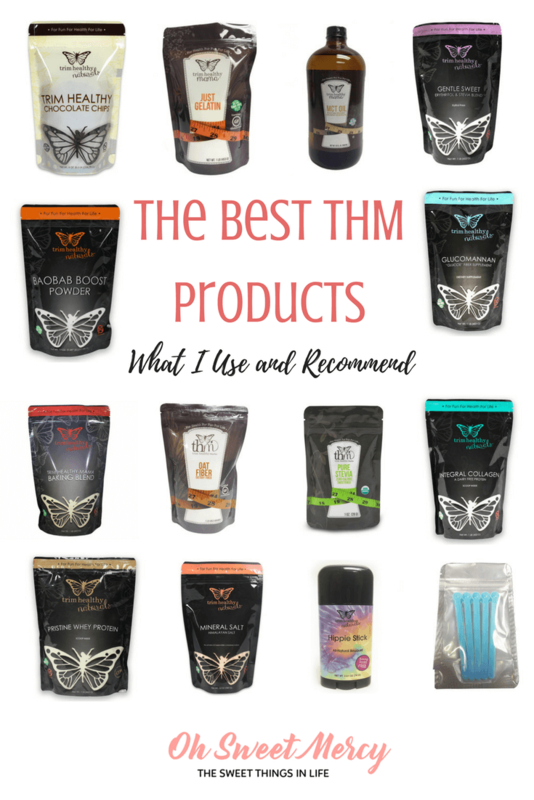 Wondering what the best THM products are? I’ve tried quite a few and have put links to them in this page as a handy resource for you. I’ll add more as I try new products. Be sure to bookmark it and come back when you need to order more! 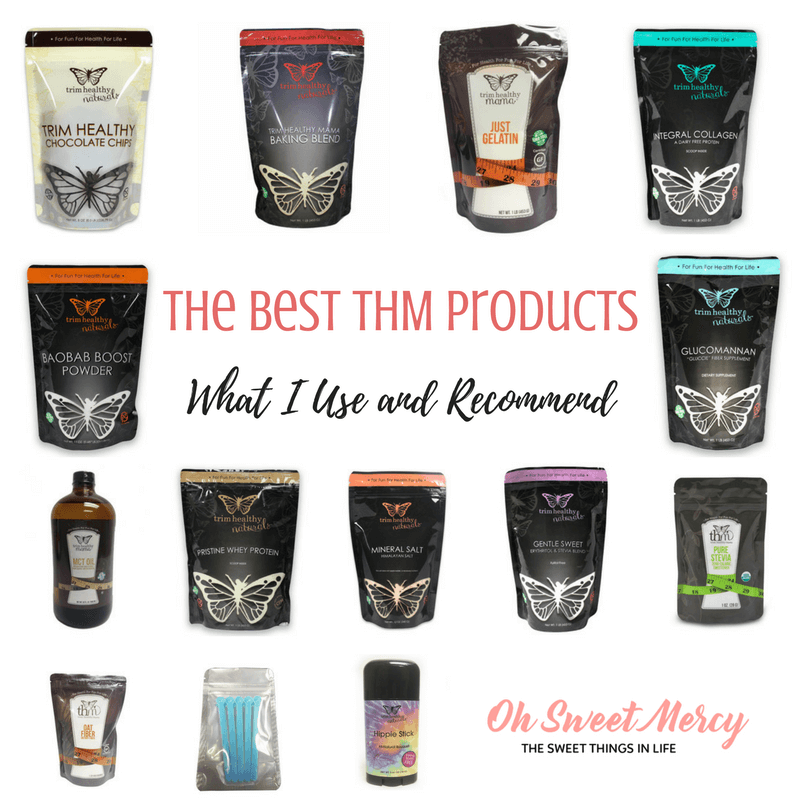 If you’re new to the THM world, the array of products can be a little dizzying. I started THM long ago before all these special ingredients came about and it’s been so neat to see this amazing company grow and develop new products. While these products are NOT mandatory for following and succeeding on the plan, they can make it a little easier. I’d love to share what I believe to be the best THM Products with you. These are the products I use the most or love better than other brands. Just so you know, I will not recommend a product that I have not personally used! First of all, you need to start with a Plan book if you don’t have one already. The actual printed (or digital) resource gives you complete information on how the plan works. It also gives you all the details on things like how many carbs in an S meal and what foods are allowed in the different meal types. Some people choose to go with the new Trim Healthy Table book because it’s both a recipe book and a very simplified plan outline. Either way, you need more than just Facebook posts and Pinterest pins – those are not always reliable sources of information. Scroll down to the bottom of the post to Pin this list of great products to your favorite Pinterest Boards! I personally enjoyed the sisterly chat that is sprinkled throughout this book, but some people find it distracting. It’s a HUGE book, but don’t let the size scare you – most of it is recipes! There are some index issues and if you’re a THM Facebook group member, you can find corrections in the files section of the group. It’s smaller and more succinct. I think it’s a great choice if you’re easily overwhelmed by too much information. While there are examples of different meal types and menus, there are no recipes. Hey, one of my recipes is in there! It’s my Dark Chocolate Coconut Cake in a Mug. You’ll find it under Glazed Dark Chocolate Coconut Cake on page 293. You’ll also find more single-serving recipes in this book but still plenty of family-sized options. This is like a combination of the Plan Cliff notes and a recipe book. If you are super overwhelmed by information this might be a great book to start with. Lots of wonderful family-style recipes too. Not as many single-serving recipes though so if you aren’t cooking for a family you might want to consider that. Please know that I’m an official THM Affiliate. That means if you click on a link below (or in a post) that is a THM Affiliate Link and make a purchase, I may receive a small commission from the sale. It does not cost you extra and there’s nothing else you need to do. I am always so grateful when someone uses my affiliate link, so thank you in advance! Please read my Disclosure for more information and why I use affiliate links on my site. Ditching sugar and getting used to sugar-free alternatives is hard for some people. 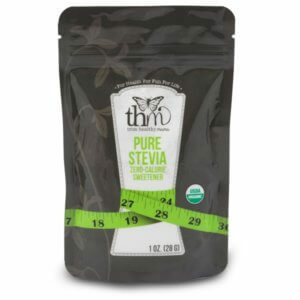 I personally love stevia and never had any trouble making the switch. 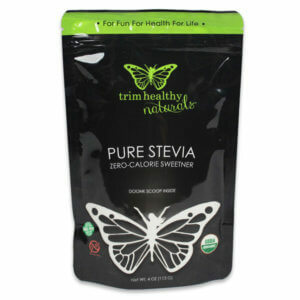 I will say that hands down the THM Pure Stevia Extract is my absolute favorite. I find that the flavor is more smooth. Some brands just seem really harsh. A little also goes a LONG way! The Pure Stevia Extract is a very fine powder and doesn’t always work as well in baking for the sole source of sweetening. I save this Pure Stevia Extract for my beverages (such as my favorite Zingy Raspberry Good Girl Moonshine), coffee, candy (Coconutty Peanut Nom Noms and Dark Chocolate Nom Noms), and often in kefir (Chocolate Chai Kefir). Confused about sweetener conversions? Download this handy conversion chart from THM. 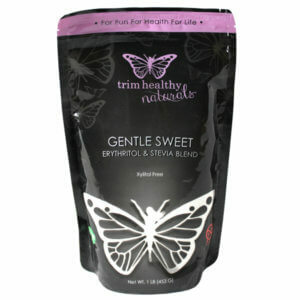 THM Gentle Sweet – 16oz This version of Gentle Sweet contains a blend of xylitol, erythritol, and stevia. 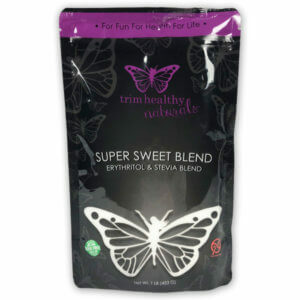 THM Super Sweet Blend – 16oz A blend of stevia and erythritol, also safe for homes with dogs! A little goes a long way with this, too! Doonk Scoops – a must-have for your Pure Stevia powders! You’ll get one in your package of THM Pure Stevia Extract, but they can break (especially if you have a 10 year old boy whose vocabulary does not include the word “gentle” 😉 ) or get lost so it’s always good to have extras on hand. You can also find larger packages of these sweeteners, plus Non-GMO Xylitol, Erythritol, and individual packets of Gentle Sweet and Super Sweet Blend. 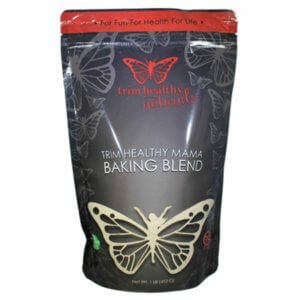 THM Baking Blend – 16oz The original Baking Blend! There are many DIY alternatives out there and they usually work very well. The THM Baking Blend really is great though! If you can buy some, do – it’s a great time saver. 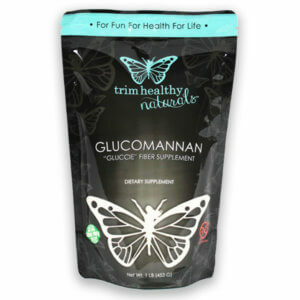 THM Glucomannan Powder – 16oz Gluccie is our affectionate term for glucomannan powder. It’s a fiber supplement that is wonderful for thickening sauces, gravies, smoothies and more. It’s also available in organic. You can also use xanthan gum (which is available in many grocery stores now) but I find Gluccie to be less “slimy” than xanthan gum, and the THM brand seems to be more powerful – I use less of it than other glucomannan brands I’ve tried. 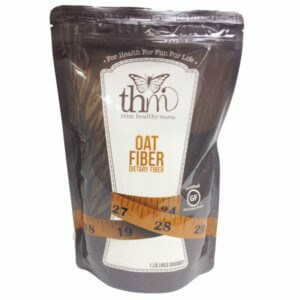 THM Oat Fiber – 16oz This is definitely not your average oat fiber! I almost gave up using oat fiber, thinking it was all gross and stale cardboard tasting. But then I gave the THM brand a try. I will never buy another brand! There is no funky stale cardboard smell or flavor, and that makes all the difference in your baked goods and DIY Baking Blend mixes! These are not required for success on the THM plan but can be very helpful. I don’t use a lot of special ingredients simply because I need to keep a close eye on the budget. But I have used the following and really think they are of excellent quality. 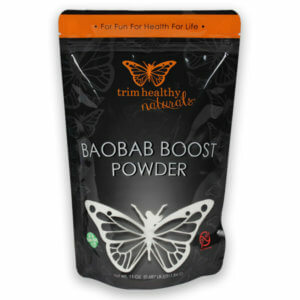 THM Baobab Boost Powder – 11oz I just adore this stuff!! I use it daily in my Super Simple 4 Ingredient Baobab Water. It’s also great for baking (Cranberry Orange Baobab Muffins) and I even add it to savory things like soups and sauces (Red Bean, Quinoa, and Kale Soup). It’s a great way to get more Vitamin C and other minerals into your day. I’ve also used brands available at Walmart, and they work just as well. However, I do find that the THM Baobab Boost powder has a cleaner, more delicious flavor. 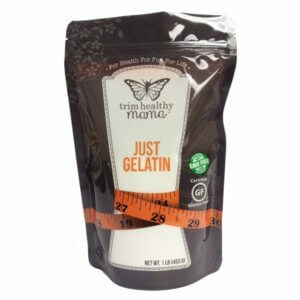 THM Just Gelatin – 16oz This is a much healthier alternative to store-bought gelatin. It’s made from cows that are grassfed and has far more amino acids and no pesticides, hormones, or antibiotics. Knox gelatin is made from pigs fed who knows what and kept in who knows what kind of conditions. 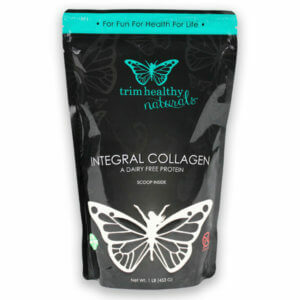 THM Integral Collagen – 16oz Collagen is similar to gelatin, but will not set liquids. That makes it perfect for adding to drinks, coffee, smoothies, and shakes for the added protein and amino acids. It’s also part of many DIY Baking Blend mixes. Many times you can interchange collagen and gelatin but not always so it’s a good idea to have both on hand if you can. Just Gelatin is also available in a 3 pound bag. 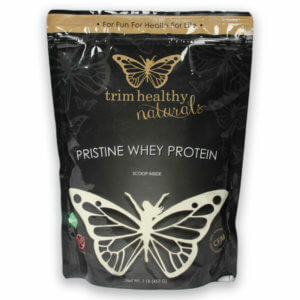 THM Pristine Whey Protein Powder – 16oz This protein powder is made using the CFM (Cross-Flow Micro-Filtered) method, a better and healthier way of making it. It’s wonderful for making things creamy and adding extra protein to your meals and snacks. 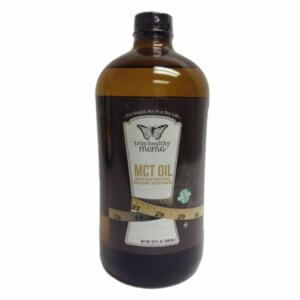 THM MCT Oil – 32oz MCT oil is a fast-metabolizing Medium Chain Triglyceride, which means your body will burn through this fat faster. It’s wonderful in Trimmies (a less calorie-dense form of Bullet Proof Coffee), smoothies, and shakes. I also add it to my 0% Greek yogurt to make it more yummy and as a butter alternative on my sprouted toast. 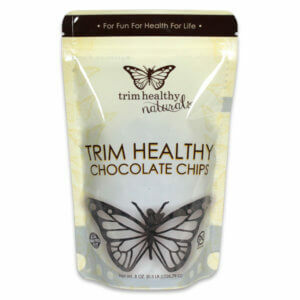 Trim Healthy Chocolate Chips – 8oz Confession: I have never spent this much on sugar-free chocolate chips in my life, but they are worth every penny! Just get some. For real. Save them for a special treat (like my Special Occasion Chocolate Chip Parfaits) or reward if your budget is tight, but just get some. They are reaally that good! 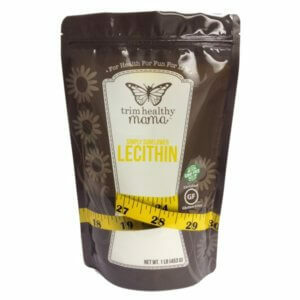 THM Simply Sunflower Lecithin – 16oz Lecithin is a wonderful emulsifier and makes things creamy and yummy! It’s great if you’re dairy free (see my How to Make Amazingly Fluffy and Creamy Mashed Fauxtatoes post). It’s also great for your brain, but since we generally want to avoid soy products the soy lecithin you see added to nearly everything really isn’t the best source. This sunflower lecithin is a much better option. You don’t need much of it either, so this bag will last a long time. 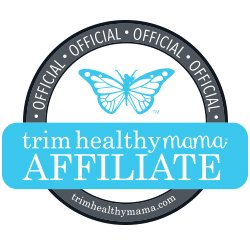 Trim Healthy Mama has a whole line of healthy, natural skin care products. You can find lip balms, facial cleansers, moisturizers and more. I personally don’t use many products like that (read about my simple beauty care routine here). I simply don’t like to fuss with a lot of things so I just don’t. But many ladies rave about the products! 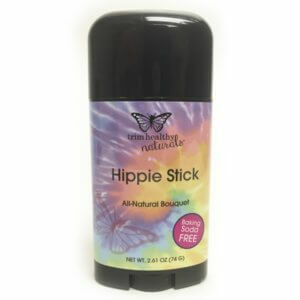 One that I have tried and absolutely LOVE is their Hippie Stick Deodorant! It’s been many years now since I quit using antiperspirants and finding a natural deodorant that works well without irritating my pits has been a challenge. This is the first natural deodorant that has not eventually caused irritation (or failed to keep me fresh). Other than around certain hormonal times, I have never had to reapply it during the day. To be fair, I have not had the opportunity to use this yet in the warm summer months but I’m confident it will still work well. I chose the baking soda free version because I think it’s the baking soda that causes irritation. If you are just switching from commercial antiperspirants, you have to understand there will be a period of time that your body needs to acclimate. Natural deodorants in general may not work well at first but keep trying. It does not glide on like commercial products. What works for me is swiping a bit off the stick and rubbing it on with my fingers. You don’t need a whole lot, either! What Are Your Best THM Product Recommendations? So there you have it! I’ll add more recommended products here as I try them. 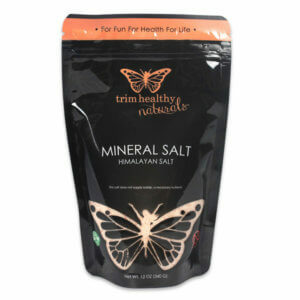 I really do find that the THM products are very high quality and worth every penny. Since the company is still pretty new and growing, shipping charges may be too much for some. I’m so glad that they are always working to make shipping as affordable for us as possible. And I appreciate that they always give budget friendly alternatives in their podcasts! They would love for all of us to purchase their products of course, but understand that not everyone can. Ultimately, they just want everyone to be healthy. So, do the best you can with what you can afford. I started this plan with the original book and no special ingredients and lost 40 pounds, so it’s totally do-able!